Home — Stem Holdings Inc. Opportunity is knocking on a new set of doors. At Stem Holdings, we acquire and lease properties. Stem Holdings Inc. (OTCQB: STMH, CSE:STEM) has positioned itself as a leader in the U.S. cannabis industry by building state-of-the-art licensed cultivation, processing and retail properties across multiple U.S. markets. Discover green spaces, places and pockets. Our unique cultivation locations are strategically scouted, assessed, and secured by our expert team. 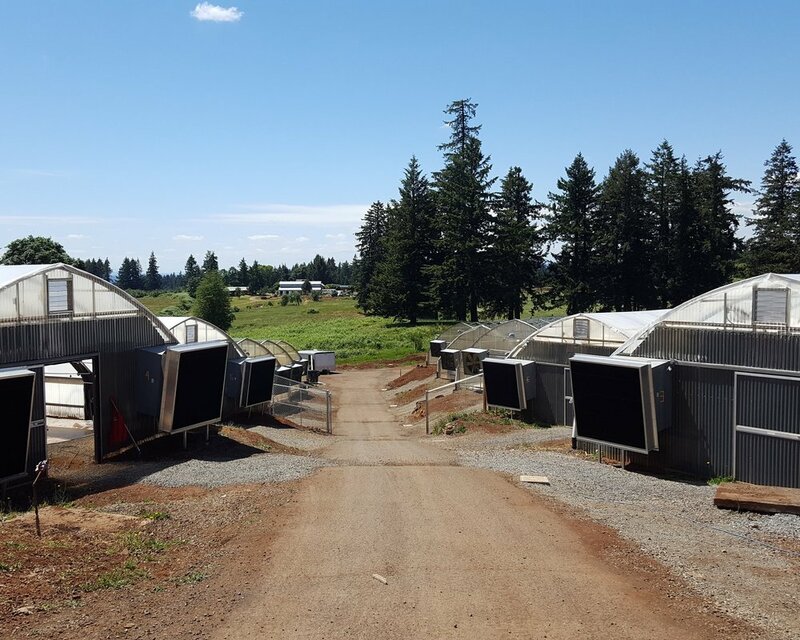 This impressive property in Clackamas County features 12 commercial-grade greenhouses. The 14 acre property a 30,000 gallon water storage tank for greenhouses and irrigation. This large warehouse serves as a premiere indoor cultivation facility just outside of Eugene, the second most populous city in the state of Oregon. Our dispensaries are designed to provide patients and consumers a high-end retail experience. Located about one mile from the University of Oregon campus, this former bead shop is being remodeled into a retail destination. This warm and welcoming marijuana dispensary is located on the busy highway 99 corridor in Eugene, Oregon, just ten minutes from downtown. We develop award-winning brands within multiple sectors of the market. Stem supports operations of these brands to ensure their success.